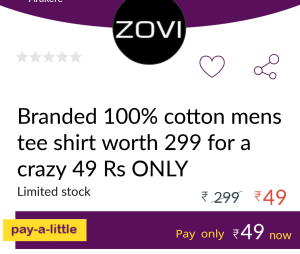 99 for just Rs 49 only. Hurry up as the stock is limited. 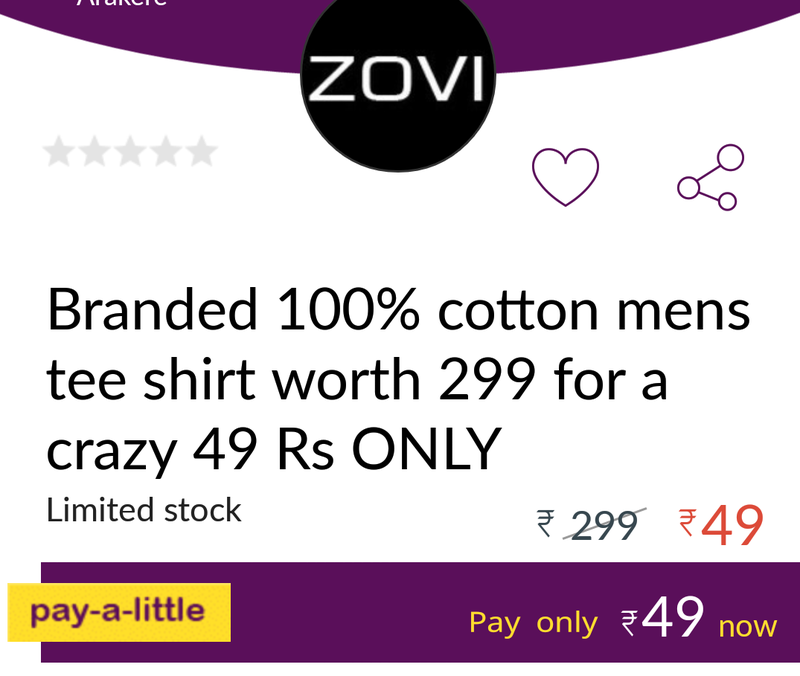 How to get Zovi T-Shirt worth Rs 299 at Rs 49 only ? 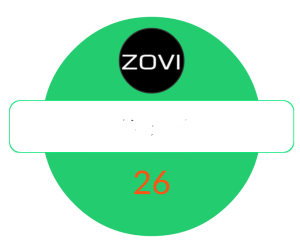 What to do after getting a coupon ?